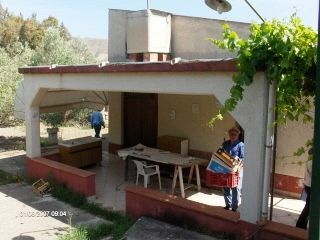 This attractive 36 square meter semi detached villa is located approx 15 km away from the town of Caccamo. The villa has all services connected to it. It also has a 1500 square meter garden cultivated in orange, lemons and olive trees. There is an outside veranda of approx 36 square meters, perfect for barbeques. The property has a private water well that supplies water directly to the villa.